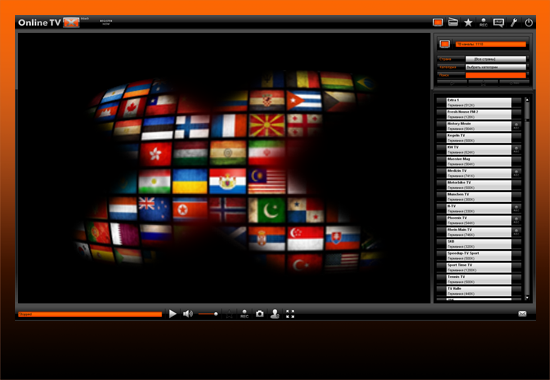 Online TVx offers to watch and listen to more than 7200 TV and Radio channels from all over the world in their best quality. This channel list is regularly expanding. For all the comfort of our users, channels are appropriately filtered by more than 80 countries. Enjoy the rich variety of intra-cultural TV and radio channels. All the channels of the program are properly filtered by 9 genres: adult, entertainment, kids, live, movie, music, news, religion and sport. Choose whichever matches your taste. This feature lets users to search for their preferred radio and TV channels within the whole channel’s list. No need to crawl through the entire list and waste your time, experience the comfort of integrated search. This unique feature lets you to save your preferred TV and radio channels in formed list of favorites, for future screening. That way, you don't have to remember which channels you like and prefer the most. This function, allows users to record TV channels/radio stations and save them in the Records section of the program. Recording of a channel can be set to specific time and definite date, even if the channel is not being watched at the moment it can also be recorded simultaneously while watching. This splendid feature provides an opportunity to share your recorded media (TV/radio) over Facebook and Youtube. Share your impressions via recorded videos, audios and photos. Lead social networks! This feature lets users to chat while watching the same channel or listening to the radio. You can share and exchange your opinions, impressions, comments between the spectators of the same channel.